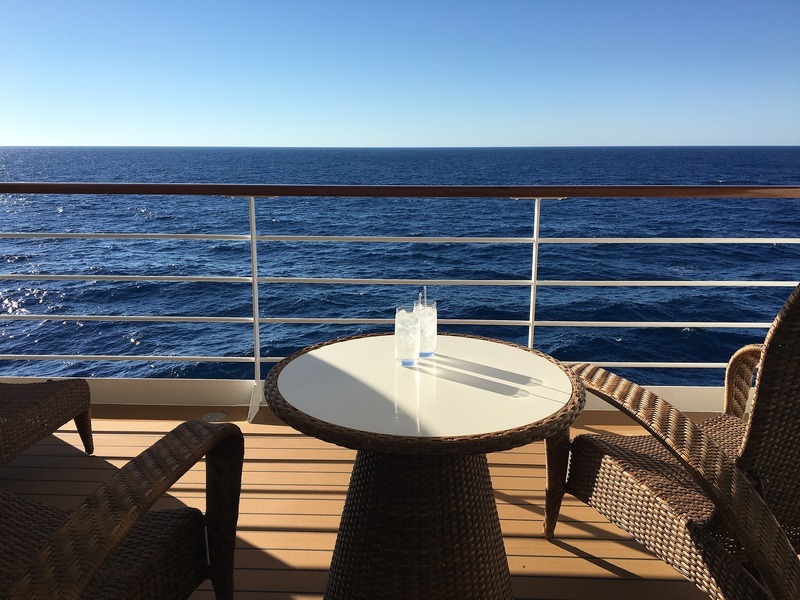 As soon as guests step aboard Seven Seas Explorer they know they have arrived somewhere special. She is the most luxurious cruise ship to ever grace the seven seas and at every turn her designer touches astound, just as her professional crew delights guests by tending to their every need at a ratio of 1 to 1.36. She is intimately spacious, boasting the highest space ratios ever seen in the cruise industry, the largest suite balconies at sea, and the exclusive top-of-the-ship residence with a private in-suite spa, called the Regent Suite among her 375 suites. At the Culinary Arts Kitchen, guests learn how to prepare a variety of exquisite dishes in a welcoming environment reminiscent of the most prestigious cooking schools in the world. At the Canyon Ranch SpaClub® guests can choose from an array of experiences such as signature massages and therapeutic bodywork, aromatherapy, ayurvedic and seaweed treatments, as well as facials. Guests may also choose from an extraordinary selection of luxurious beauty treatments, including hair care, manicures, pedicures and more available in the salon. State-of-the-art Fitness Center features Lifecycles, free weights, striders, StairMasters, treadmills, weight benches, a Nautilus machine, workout mats and step benches. Well-stocked and exceedingly comfortable, the Library offers a calm setting for reading and relaxing. The beautifully decorated Card Room is an inviting and tranquil oasis where guests may gather their favorite board games. Guests can lounge their day away under the warm sun on the Pool Deck. 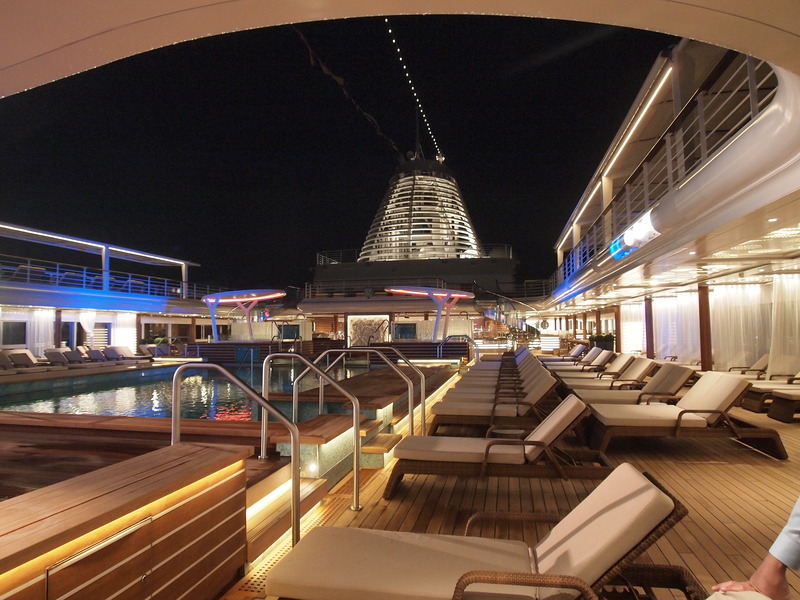 Outfitted in teak accents, it is one of the most elegant at sea featuring a lavish pool and two whirlpools. 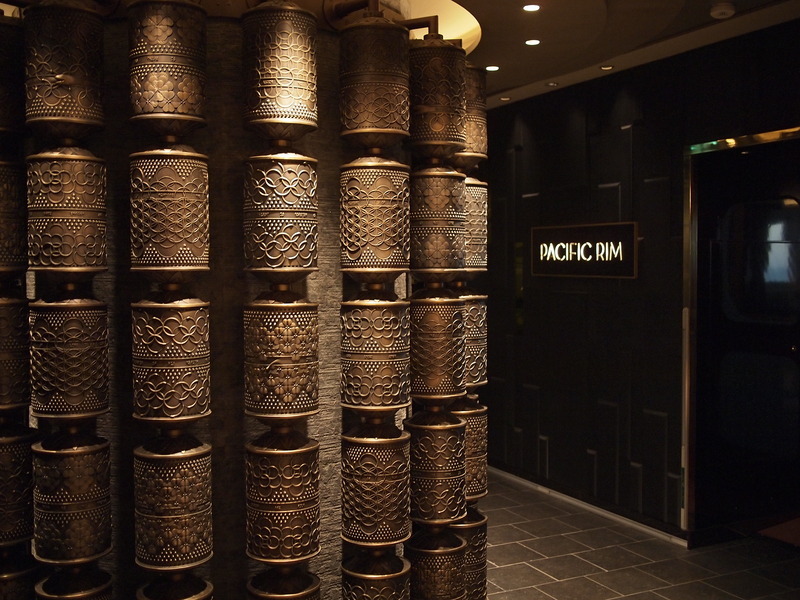 Guests choose from five exquisite dining options, including the exclusive Pan-Asian restaurant Pacific Rim and they may learn to prepare their own masterful meals at the Culinary Arts Kitchen – Regent Seven Seas Cruises’ first cooking school at sea. the Constellation Theater features an intricate entry-way mosaic, table-top Murano glass lamps and comfortable cabaret-style seats. Enjoy thrilling shows such as Paradis, our bohemian cabaret featuring a sophisticated collection of vignettes that showcase a distinctive French style, and My Revolution, an enthralling, original musical that takes the audience back to when Beatlemania and the British invasion hit North America. Guests delight in the exciting gaming offerings inside our elegant, Monte Carlo-style casino. Games include Blackjack, roulette, poker, and a full craps table, as well as slot machines. For cocktails, and to sit back and relax, there are the elegantly appointed Meridian Lounge, the Explorer Lounge with rich mahogany wood columns, where our resident musicians entertain with familiar tunes and special requests from an intimate stage, the Observation Lounge with floor to ceiling windows to provide guests with incredible ocean vistas, and the Connoisseur Club to enjoy a fine cigar or imbibe a favorite libation in comfortable leather armchairs and a club-like atmosphere.